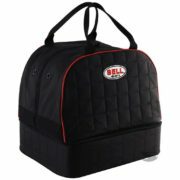 Protect and preserve your valuable racing gear on the move with our range of OMP, Bell and Sparco racing helmet and race accessory bags. Our range of carefully selected bags and backpacks are all well known classics and tried and tested in the paddock. Driver61 recommends: the Sparco Cosmos Helmet & FHR Bag. This helmet and FHR helmet bag from Sparco has sufficient space to carry a helmet and HANS device and also includes a helmet drying fan powered by a USB cable.. 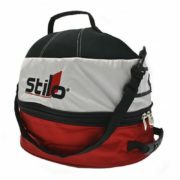 Choose a bag that will protect your race suit, HANS device, boots and helmet. Many hold-alls in our range have space for extras too; like your laptop and GOPRO. Take a look at our range below or search for an item you’re looking for in the search box below. Can’t find what you’re looking for? Ask us via our instant chat!